The university has obtained an urgent High Court interdict to stop workers from protest action aimed at making them permanent employees. The University of South Africa has obtained an urgent High Court interdict against 147 temporary employees to stop them from taking part in protest action which put the year-end exams at risk. Judge Cassim Sardiwalla granted an urgent order in the High Court in Pretoria interdicting the employees from participating in protest action within 150 metres from the entrance to any Unisa campus or centre. They may also not instigate disruptive or riotous behaviour; violence; vandalism; block entrances to Unisa’s premises; obstruct or prevent entrance or exit of any students, staff or visitors to Unisa’s campuses; or infringe traffic rules. In addition, they were interdicted from interfering with the university’s normal activities – including graduation ceremonies, exams, lectures and tutorials, the work of the libraries and administration – and from damaging property or intimidating, threatening, harassing, or harming any employees, students, service providers, and other persons present at Unisa premises. The court also forbid them to carry firearms or dangerous weapons such as sjamboks, knobkieries, golf clubs, hammers, knives, or any other sharp objects and sticks of any kind near Unisa’s entrances. The police and Public Order Policing Unit were authorised and asked to take steps to ensure access to Unisa’s premises and traffic was not impeded by protestors and prevent injury to persons or damage to property. 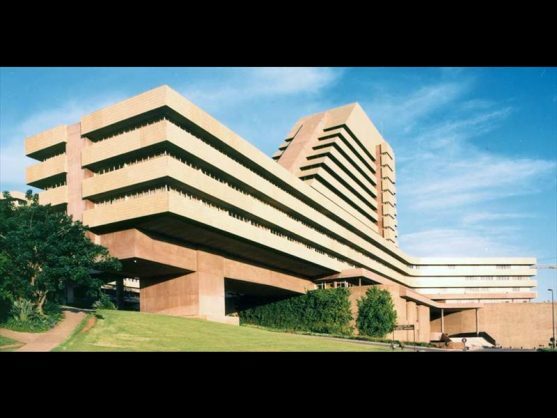 Unisa’s registrar Dr Faroon Goolam said in court papers the university started a process of appointing temporary staff needed in the exam and assignment departments using labour brokers in 2015, but terminated the services of the labour brokers and their employees last month. Affected workers have now embarked on protest action aimed at being declared permanent employees on the strength of a July Constitutional Court ruling. Goolam said the exams and assignment department packed all exam papers to be distributed and written worldwide and also managed the receipt of the exam papers and to have the papers distributed for marking. If this process was interfered with, it would have a devastating effect on students preparing to sit for exams which had already been scheduled early in the year. Some students travel long distances at great expense to be able to write the exams, he added. He said Unisa services over 380,000 students worldwide, but students would be unable to complete their studies for the year if exams papers did not reach the examination centres in time.